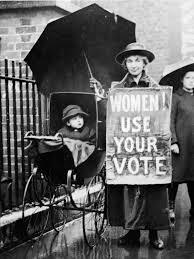 Despite the fact that England’s women won the right to vote before we did in the USA, I celebrate this victory, and urge all of us to vote when elections come around. We worked so hard to win the vote that we need to exercise that vote every time we have the opportunity to do so. Illinois became the 37th state to ratify the Equal Rights Amendment, bringing it one state away from ratification – maybe. Read more about how the ERA was passed by Congress in 1972, (First introduced in 1923!) with a seven-year deadline extended to 1982, only 35 of the 38 states needed for ratification. Now with Illinois being the 37th state to ratify, we need only one more state. Read the entire article online at usnews.com. I find it interesting that the revival of the ERA movement seems to feel like what the women 100 plus years ago were faced with …..and won! I think the ERA’s time has finally come! P.S. Today, August 22nd, is also the anniversary of the birth of Dorothy Parker, my favorite “dead poet” and writer. She was born on August 22nd, 1893 and died on June 6th, 1967. She was 73. Parker was a political activist and a strong believer in civil rights, bequeathing her literary estate to Dr. Martin Luther King. When he was assassinated a few months later, the estate was turned over to the NAACP. (Source: poets.org.) I believe she was also a feminist and if she were alive today, would fight for the ERA to become a constitutional amendment. This entry was posted on Wednesday, August 22nd, 2018 at 10:13 am	and is filed under Home Page, Leftovers / Feedback / Miscellaneous, Poetry / Quotes / This 'n That. You can follow any responses to this entry through the RSS 2.0 feed. You can skip to the end and leave a response. Pinging is currently not allowed.